BOSTON, April 2014 – Building on its history of providing high performance tennis footwear and apparel, for spring 2015, New Balance will take the next step forward in terms of style and function with the 996v2 tennis shoe. As the shoe of choice for premiere New Balance tennis athlete Milos Raonic, the 996v2 is designed for the competitive player who needs a flexible, lightweight shoe that also delivers supreme cushioning and stability. The 996v2 will launch in January 2015 with a suggested retail price of $119.95. Engineered with innovative PROBANK dual-density foam in the forefoot, the 996v2 offers a secure hold and optimal control during quick cutting movements. The TPU cage surrounds the foot, offering supreme durability and flexibility, along with a hint of houndstooth detailing that references New Balance’s rich history in the game of tennis. This high-performance shoe is perfect for any player, from those giving it a daily workout, to the weekend warrior. To provide superior comfort on the court, 996v2 features REVlite® cushioning to keep athletes feeling light on their feet throughout a match or practice session. Multiple colorways and widths will be available for both men and women. In 2013, New Balance signed a multi-year contract to be the exclusive tennis and training footwear and apparel provider of Milos Raonic, who, as of early 2014, has been ranked as high as #10 in the world by the ATP. The New Balance design teams work closely with Milos on the development of the product line to ensure it reflects Milos’ high performance and style on the court. 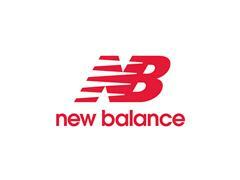 In 2015, Milos will compete in the 996v2 and New Balance Tennis apparel.